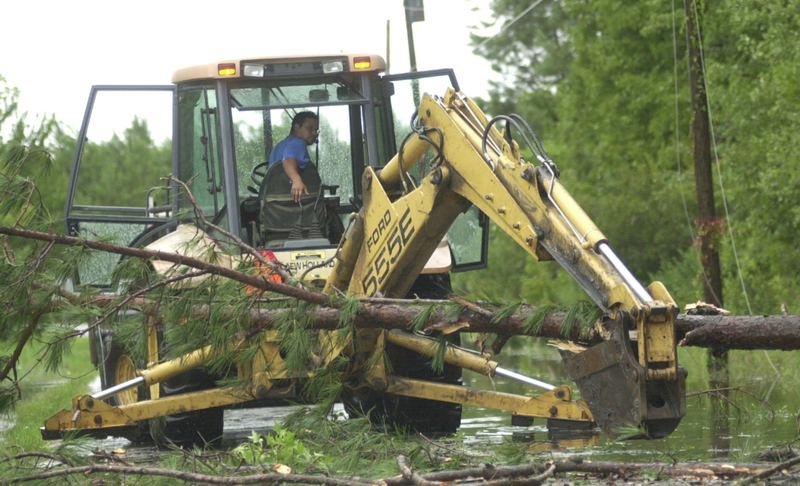 The City of Whiteville will end storm-related debris pick-up on Friday, Jan. 18. While the city has been collecting and monitoring the amount of Hurricane Florence-related debris placed within street right-of-way areas as residents continue to remove construction/demolition and vegetative debris and make repairs, piles have been growing on city streets and the city will not be able to pick up storm-related debris after Jan. 18. The city will be unable to provide information on when specific neighborhoods/streets will be cleared as those decisions are at the discretion of management in order to complete citywide debris removal in the most efficient manner possible. After January 18, it will be the homeowner’s responsibility to remove storm related debris from their property. Normal trash, leaf and limb, and recycling will resume on its regular schedules. Residents can assist the city with final clean-up efforts by sorting debris into two separate piles, one for construction/demolition debris and another for vegetative debris. Debris should be placed in between the sidewalk and the road. Debris placed from the sidewalk toward your property will not be picked up. Citizens who do not have a sidewalk, ditch or utility line in front of their home should place debris at the edge of their property near the curb or edge of the road. Placing debris near or on fire hydrants, water meters, sewer manholes, cleanouts, trees, poles or other structures makes removal difficult. Residents should also not block storm drains with debris to help prevent future flooding. The Columbus County Transfer Station is open at 113 Landfill Rd. Monday through Friday from 7:30 am to 4 p.m. Customers requiring assistance or requesting information regarding rates and acceptable materials may contact 910-642-6852 and staff members will be happy to assist them. Please visit the Columbus County Solid Waste Department for more information at http://columbusco.org/Departments/Solid-Waste.